You must be age of majority in your country of residence. We are not responsible for any duties, import taxes that you may incur. Only 1 entry per person. This post is brought to you in collaboration with Walden. From now on I want to sleep in the bed BOLD. And i love the shelf! Wow, this brand is such a good find! My favourite is definitely the Italic ladder, I can picture it so well in my home and how useful it would be. I love the bedroom ladder. Beautiful and so needed in my home, as the poor overworked bedroom chair would attest. I would love the taller of the Italic ladders! Storing your clothes on a gorgeous ladder sure beats the good old chairdrobe! I think I would go for the tall ladder shelf 'italic' - I can't decide if I'd want it in my bedroom or bathroom, but I know I definitely want it!! Wow the italic ladder is so amazing... I'm dreaming about it right now ! If I don't win it, I will built it for sure ! The Align shelf would look so nice on my living room wall! The 150cm Align shelf in walnut would be the perfect place to display my paintings. I've been learning to watercolour and putting the best ones on show on such a beautifully—and ethically—made shelf would be a real boost! Never heard of Walden before! The bed 'Light' in Walnut is beautiful; the perfect low height and dark wood colour for a more moody aesthetic. The fact that it is sourced sustainably and made locally is so important too! Wow, these look so, so beautiful! I'm also a huge wood fan, the texture and warmth just aren't comparable to any other material you bring into your home. I'd like basically all Walden items in my home, obviously, but my favourite piece is the italic ladder. Gorgeous and so versatile! Stunning. I am dying over the bold bed!! wow! Thank you for making is discover wonderful brands. Would love to win the italic ladder. It would really go nicely in my danish modern interior! The "Bold" bed is amazing, though I also love the "canvas" dressers. I love the Light bed in walnut and the Italic ladder! Walden furniture is absolutely gorgeous! Simple yet stunning. My favorite item has to be the italic ladder! This ladder would work perfectly in our bedroom or living room as a blanket organizer! Like everyone else, I'm loving the ladder!! The Bold bedfram in wild oak would be a serious upgrade from our ikea model! So pretty. The Bold bed is to die for. and that's not only in your mind ;-) I think in a lot of people's minds nothing beats beautifully crafted wood! Yes, love the ladder . 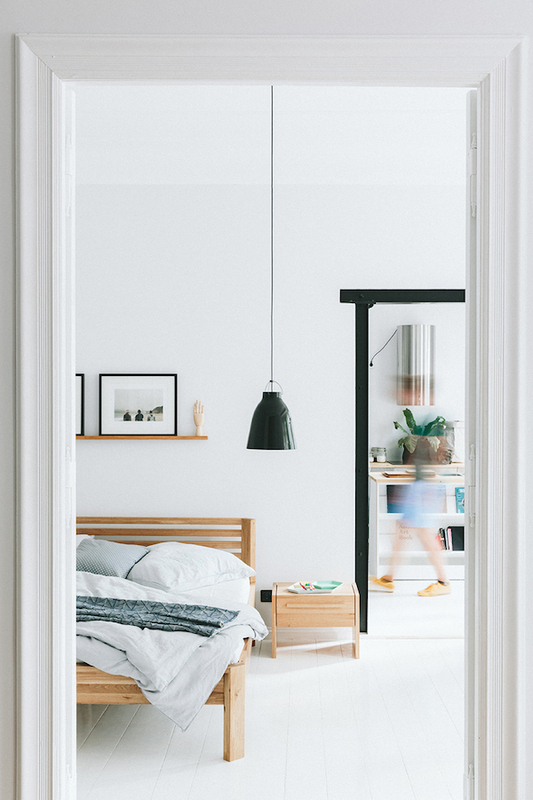 The ladder is very cool and so versatile but I love the bed light - looking for something stylish but unobtrusive for the spare room in our new home and that's perfect. The Bold bed in wild oak is just lovely. The Bold bed will look awesome in our bedroom! Thank you for sharing this gem with us!! I love the bed BOLD because it has it all - it's minimalist, functional, robust, and looks just fantastic! The wood is such a great alternative to our beloved white and black. it's all gorgeous but am drawn to the Regular bed. I am considering LIGHT bed walnut & 51 Canvas night stand for my new bedroom. It's match with the wall color. Thank you for informing about this brand. I really love the light bed in oak. It´s beautiful. Thank you for this give away! The italian ladder in oak is excactly what I am looking for! My plan is that my kids would use the ladder instead of the floor! The Collection 50 nightstand is such a gorgeous piece — it would make a good home for my bedside hand lotion and candle, which currently live on the windowsill. All of these products are lovely! Wow! The materials, design and craftsmanship of all the Walden products is stunning. I love their aesthetic and so of course it's much too hard to choose one favourite item. However, I have managed to narrow it down to my top three faves (in no particular order). 1. The 74 tall drawers in classic oak - classic and so functional. 2. 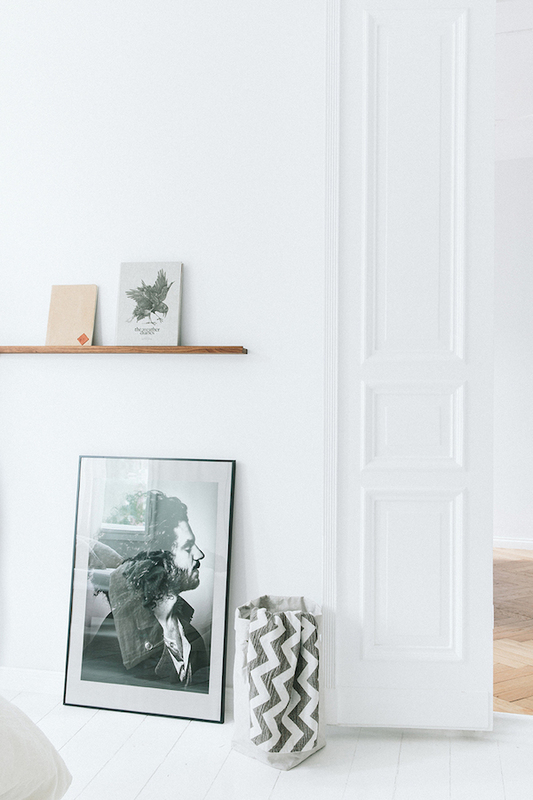 The italic ladder - the option of combining two to make a free standing unit and removing rungs to create storage for hanging clothes is genius. 3. Of course the align bar - the perfect size for a sleek landing strip for my entranceway. Would love the wild oak bed regular style measuring 180x200! You would make a family of three still squeezing themselves into a 140x200 bed so happy! Plus - the bed would perfectly match my wild oak desk! The gorgeous Light Oak bed would make our little bedroom feel bright and open! love the Italic ladder in beechwood. i would love the light bed and the italic ladder for my bedroom! I love the italic ladder made of oak. Beautiful! My husband and I finally got a place of our own after having to live with roommates forever! I would love love love the bold bed in beech heartwood (we have a US queen sized bed)! Oh my goodness! It would be the perfect thing for our as yet barely furnished little cottage! LOVE the Bold Bed in Beech Heartwood!! The bold bed- it's especially clever that the legs are incorporated into the corners so there are no 90 degree angles to attack the shins! Has anyone noticed the cushioned drawer and little pocket in the Collection 51 night stand? Dying over here! Way to freshen up a usually overlooked albiet functional piece of furniture by adding some coziness and texture to it. I'd love to stash my favorite snap shots or cherished notes from my husband or kids in that little secret pocket. The attention to this kind of design detail really impressed me - like the grown up version of a child's treasure box. All is soooo nice, especially the ITALIC (ladder).Need one like that in every room!!! My white and wood bedroom would be perfect with the Accessoire italic... love that they are from Austria near my own home country Germany! Simple still great design. I love the natural materials - cosy, homey, calming! My favorite is the Italic ladder! The light bed would be great in my airy loft bedroom, and I lover he ladder combination-you can sling your clothes on it and it looks as stylish as that!! Clever and versatile. Great brand! Really nice furniture! I like! I would definitely love to change our old bed to a large Bold bed without headboard. Ok.. so I thoroughly checked out every item of this lustrous designer and I just can't choose anything but the Align Bar. To have this shelf floating above our bed dressed with our favourite things would finish our room perfectly. Thank you. I love the Bold bed in Wild Oak - perfect for a beach house with some gorgeous linen sheets! As my birthday is in two days ( yes ! ) I can't help thinking that the italic ladder would be a great present for me . First it would look great next to our Japanese bed as its simple and aethestic lines and design would perfectly match the zen like atmosphere of our bedroom. ( an echo of the traditional Japanese bamboo ladder ). 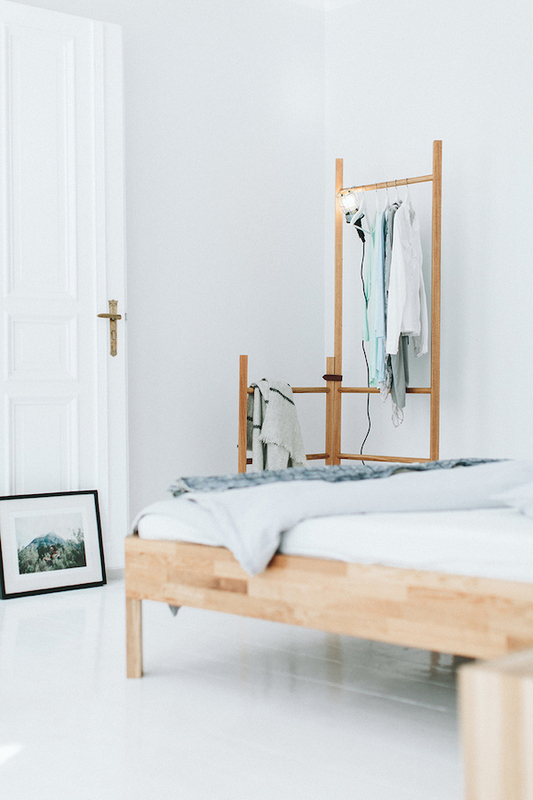 Then it would help us (my husband mainly :) ) to reach that ideal of uncluttered living as it would make it easier for us to find and sort out our clothes on some clouded mornings . I love that Align bar! Thank you so much for the contest ! I love the align bar ! Very cool blog ! I absolutly love the align bar and it is very cool ! And also the italic ! I'm a young interior designer and it would be an honor to win such a cool contest ! Thank you very much ! The Bold bed- love. We've still not purchased a bed but love this one - would match our farmhouse. In love with the regular bed in beech heartwood! The bold bed is fantastic! The tall Italic ladder in oak. Simple, beautifully crafted and so functional! I do love that regular bed in beech heartwood! I like the collection 51 drawer! I've been looking for a bedside drawer forever, and this one is to die for! I think I'd get it in the beech/hardwood color. So hard to choose just one but the Light bed in Walnut! You would need little else! You can see Walden's appreciation of beauty in function. The 103 canvas and beech chest of drawers are beautiful and the side pockets are a design detail I've never seen before. The canvas adds warmth and texture, which are unusual qualities to find in a dresser. i love this shop! i've never ventured outside ikea because of their modern design, but i am such a fan of this place now! I absolutely love the regular bed in wild oak. I think it's great how it represents simplicity while still catching the eye. The align bar would be great to hold the spices in my kitchen!! i like the 50 canvas collection because you can use them in every room and for many purpose! Hi I would take the regular bed to make an accent in my white bedroom. 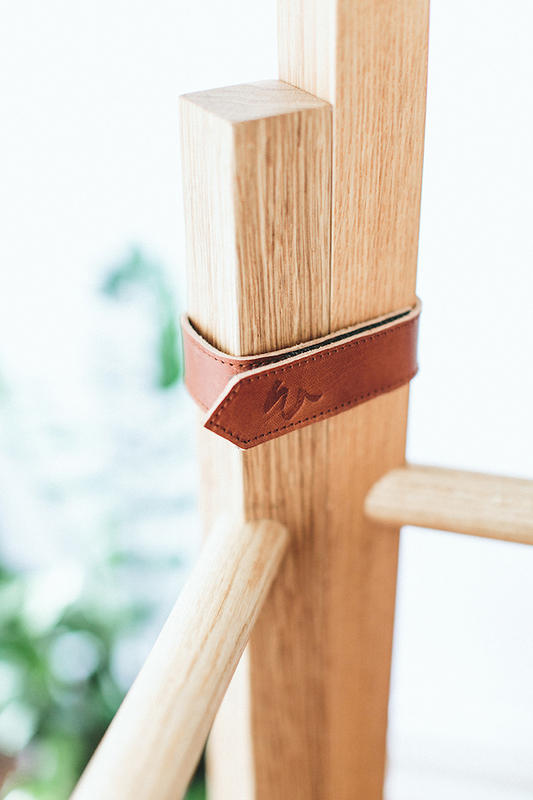 The italic oak ladder. Definitely the ladder. I love the Align shelf in beech heartwood. It would fit into the living room perfectly and give me a chance to display some photos I've had printed. This brand is a wonderful discovery! 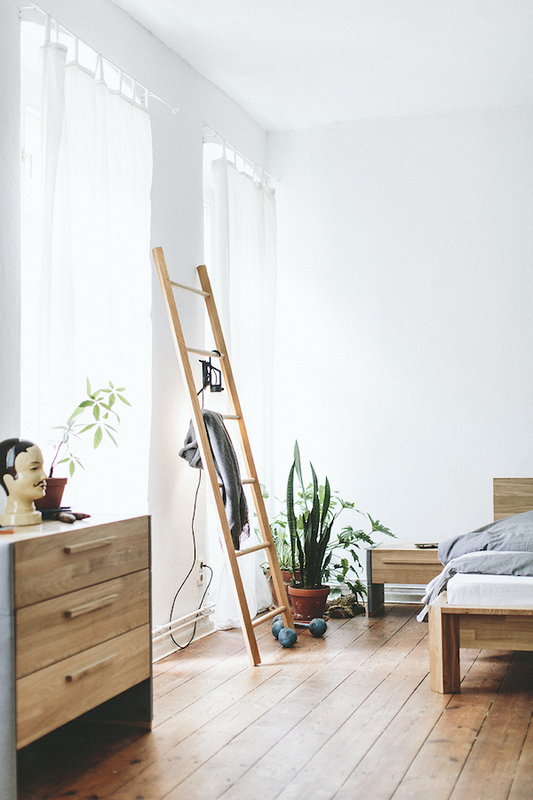 I'd love the Italic ladder for my bedroom and of course the Align shelf! Thanks for the opportunity to win such a nice product. The Ladder is my favorite and I'll be happy to tell you why only if you promise not to tell everyone you know! I tried to make my own Ladder, how hard could it be right? I sauntered out into the woods, cut some saplings, Two long of the same length and one for rungs. By this time my brother was actually snorting he was laughing so hard. My Ladder I was so proud of looked like a drunken old man fresh from the sauna. Parts of my legs were stripped of the bark and I know I cut them down the same length but they , both of them were crooked as that drunken old man's bowed legs, Not a single rung was level! How was this possible? In my head my beautiful ladder stood in front of me so drunk it was having a hard time standing, hence the drunken old man, the rungs stripped of their bark, again the drunken old man with the bowed legs, coming from the sauna with just socks on his feet. No clothes whatsoever. No bark on half the rungs. So, Now you know why I would Love The Ladder, It's so straight and beautiful. Just like I pictured in my head when I sauntered into the woods with my fiskars! Beauty, such simple beauty. The oak bed is lovely, such simplicity.